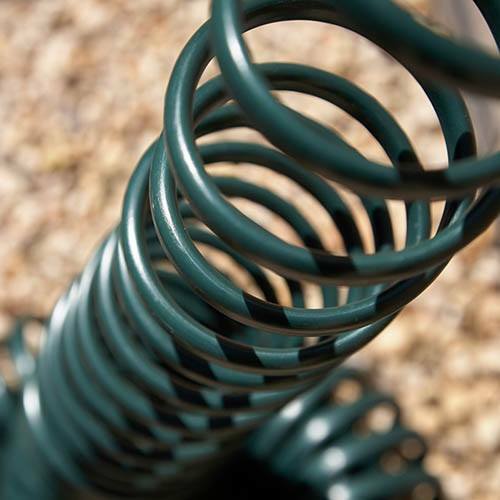 Tough, lightweight and kink resistant. 30m coil hose complete with spray gun. 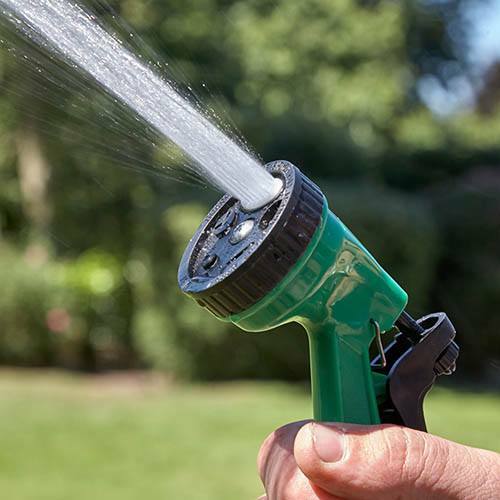 A complete watering starter set, this tough, lightweight and kink resistant hose is a must for all of your essential gardening needs. 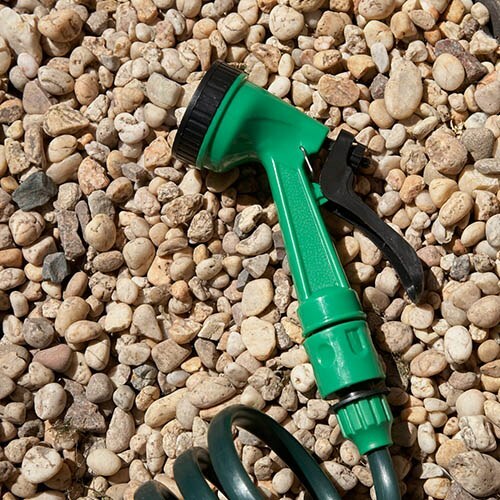 The 30m coil hose comes complete with all the fixtures and fittings that you’ll need to get watering straight away, including a spray gun attachment with 5 different functions and a ¾in tap connector. 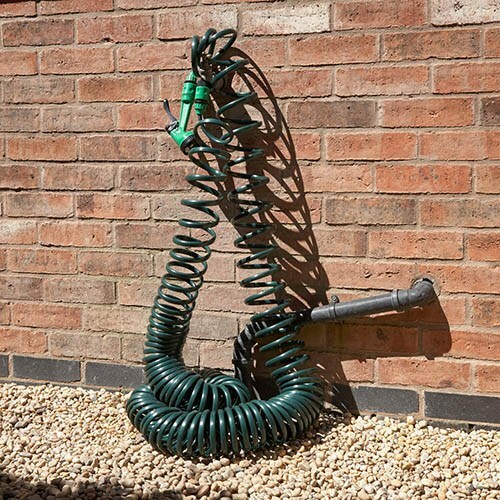 Tough, lightweight and kink-resistant, the coil hose automatically recoils so that it can be stored away quickly and neatly, without metres of tangled pipe cluttering your garden and getting caught up around your plants. Packed in full colour box with a carry handle for convenience, you can store it away neatly after use. 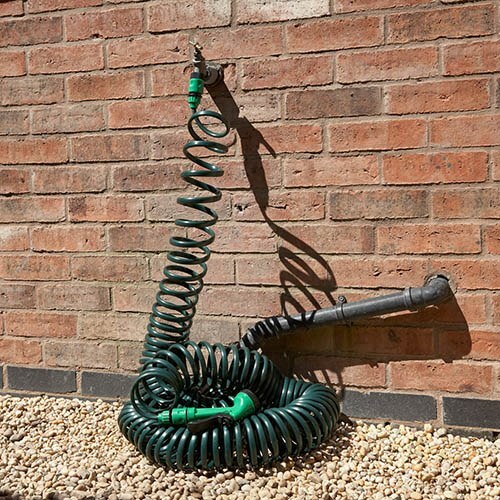 30m coil hose complete with a 5-function spray attachment and 3/4in outside tap connector.